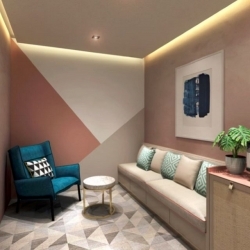 Dr Low Chai Ling and Dr Kenneth Lee, the founders behind former award-winning aesthetic chain, The Sloane Clinic, have left their brainchild in 2017 to launch SW1 Clinic. SW1’s centrally-located facility in Orchard Paragon spans 8000 square feet and features 2 fully equipped operating theatre in addition to over 20 treatment rooms, making it one of the largest aesthetic and plastic surgery centres in Singapore. SW1’s centrally-located facility in Orchard Paragon spans 8000 square feet and features 2 fully equipped operating theatres in addition to over 20 treatment rooms, making it one of the largest aesthetic and plastic surgery centres in Singapore. SW1 Clinic is the fulfillment of Dr Low Chai Ling’s greater vision of creating an empowering space of wellness not constrained by boundaries. Her vision is shared by her team of experienced doctors Dr Chua Han Boon, Dr Toby Hui, Dr Michelle Lim and plastic surgeon Dr Tan Ying Chien. In line with Dr Low’s philosophy that SW1 is more than just a clinic, SW1 aims to foster deeper connections with their patients – firstly through their impeccably high service standards and secondly through new patient perks such as personal concierges and a SW1 app, now downloadable on Google Play and iTunes. It is also part of the founders’ personal philosophy to give back to society. In line with this, SW1 has honoured the founders’ tradition with the SW1 pro bono clinic for the less fortunate. One of their newer initiatives include "Glow Up," a non-profit drive to restore teenagers’ self-confidence through empowering them to take care of their own well-being. “At SW1, we believe we are put on this earth to make a difference to the lives of people we meet. Above and beyond aesthetics, we want to empower our patients to be Changemakers and Live their dreams,” says Dr Low. The clinic’s name, SW1, was drawn from the time when Dr Low was a student living in London with dreams of starting a clinic on Sloane Street located in the Royal Borough of Kensington & Chelsea. “SW1 is the postal code where Sloane Street resides. While my first clinic was called The Sloane Clinic, I feel that I have outgrown the street where the clinic derives its original name. SW1 reflects the maturity of my original concept. It is the culmination of my journey come full circle and aptly symbolises the evolution of my aesthetic vision over the last 14 years,” she says. Situated on level 13, in Orchard Paragon, SW1 Clinic is one of the largest aesthetic, plastic surgery and medical spa centers in Singapore, helmed by experienced doctors with a mission to empower the world one face at a time. The clinic believes the only limit is oneself and it seeks to empower individuals through a comprehensive range of aesthetic and cosmetic solutions delivered using cutting-edge technology under skilled, competent hands. Dr Low Chai Ling graduated from Guy’s & St Thomas’s Hospital, King’s College London. She was later awarded a Diploma in Dermatology from Cardiff, Wales and went on to complete a preceptorship in aesthetic medicine at Beverly Hills, USA. In 2003, she founded The Sloane Clinic, one of the first few aesthetic clinics in Singapore. Over the years, Dr Low became a sought-after key opinion leader, master trainer as well as speaker on aesthetic-related medical topics in international conferences. Dr Low has authored several books and textbooks on beauty and skin. In 2018, she left The Sloane Clinic to create a larger medical facility, SW1 Clinic, where wellness is not constrained by boundaries. It was during this time that she also created two cosmeceutical lines SW1 and chái to cater to different groups of beauty seekers. Dr Kenneth Lee graduated from National University of Singapore. Initially trained in the demanding discipline of neurosurgery, Dr Kenneth Lee joined his wife Dr Low to found The Sloane Clinic in 2003. His surgical training is an advantage in aesthetics where meticulousness is valued. Dr Lee became one of the first in Singapore to perform and train other doctors on the use of Fraxel lasers, Thermage, PPx and other notable aesthetic innovations of his time. Dr Lee has a special interest in ablative lasers and fillers and is also well-known for his impeccable skill in facial thread lift procedures which he has not only performed thousands but also trained many doctors under him. He has innovated his thread lift procedures into his signature ‘K-Lift’ which not only cuts downtime and discomfort but delivers results surpassing traditional thread lifts.